Join us for upcoming Doble webinars to learn about a variety of ways to improve operational efficiency, reduce cost and increase reliability. Webinars are a useful way to stay current on testing techniques, theory or power industry trends. Webinars cover a variety of topics. They are held approximately twice a month and usually last for one hour. Check the schedule below for details on our next sessions. 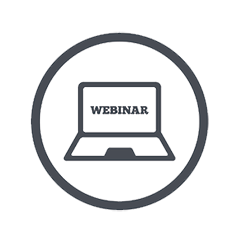 Want to stay informed about Doble’s webinar schedule? Subscribe to our webinar email list to get occasional emails about our upcoming webinars. Emails are usually sent out once a month. WEBINAR: This webinar will discuss the use of four composite bushing types: Solid Dielectric Core (SDC), Resin Impregnated Paper (RIP), Resin Impregnated Synthetic (RIS), and Resin Impregnated Fiberglass (RIF, RIG). WEBINAR: Surge arresters provide essential protection for apparatus against damaging overvoltage transients. This webinar will cover the various types of surge arresters available, how a surge arrester operates and proper implementation in the field for apparatus protection.